The Directorate of Colleges and Higher Education Balochistan Quetta was established on 19-11-1979 with the important aims of promoting Higher Education in the Province both quantitatively and qualitatively. The Directorate ceased to exists on 14th August, 2001 under the devolution plan. 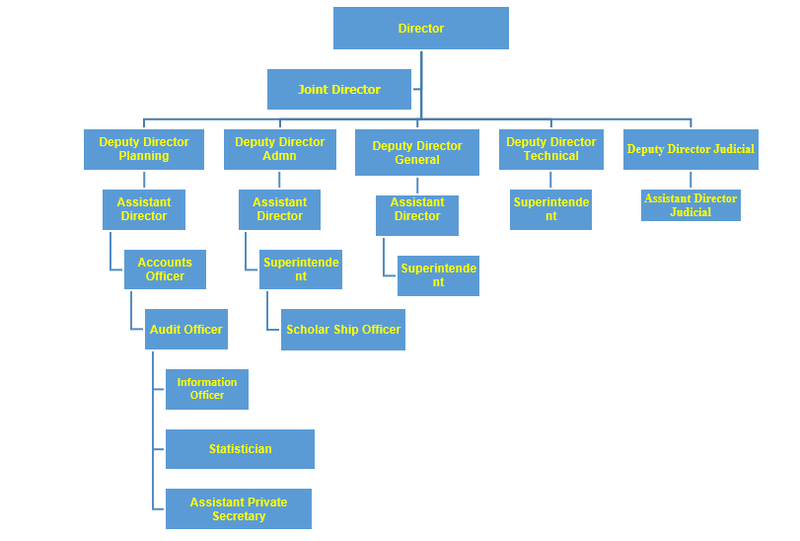 As all the Directorates were merged into a single Directorate of Education. It was however revived in January 2002 on account of ineffective administrative and supervisory control with college Directorate. To facilitate and administrate the process of imparting quality Education. To plan for enhancing access to absorb the increasing number of students willing to continue Higher and Technical Education. To evaluate and monitor the functioning and performance of the institutions under the jurisdiction. To promote competencies of the teachers by providing opportunities of trainings to in service teachers. To manage and organize male and female private and public colleges in Balochistan. To look after and strengthen these educational institutes. To provide Higher Educational facilities to the students of the province by establishing inter/degree institute in the urban as well as remote areas of the province. The Department provided professional development program for teachers specially for the promotion of the Higher Education in the province. Requisition of remaining vacant posts will be submitted to the Balochistan Public Service Commission for recruitment. 24 Buses have been provided to various colleges in Balochistan. Introduction of 4 Year B.S program in selected Colleges. Use of Audio Visual aids. Introduction of Biometric Attendance Control System. The allocated one hundred million Approved by the finance Department for purchase of furniture will be provided as per Rule/Policy to the colleges of the Province. The PC-I of reflected schemes in PSDP 2015-16 will be completed through C&W Department and then submitted to P&D Department. The budget for purchase of buses, which has been approved by the Government of Balochistan will be provided to the colleges after release from the Finance Department as per rules/policy.